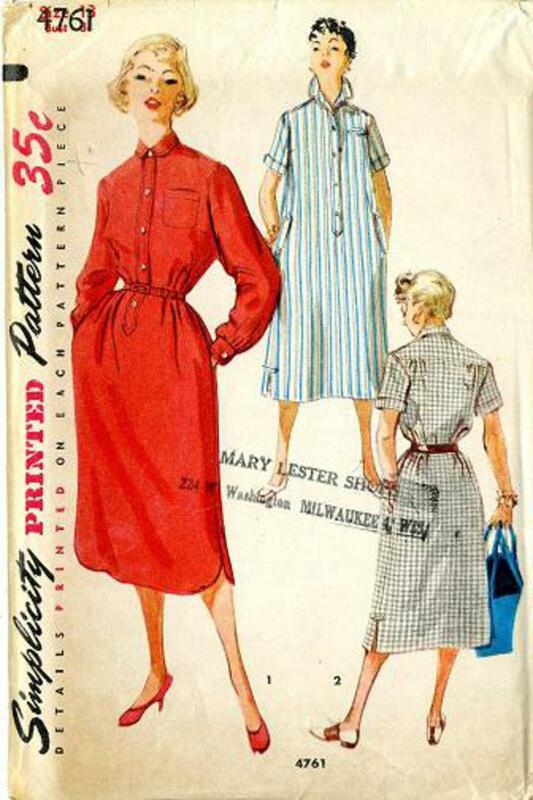 1954 Simplicity #4761 vintage sewing pattern, junior misses' one-piece dress, size 13. Upper edge of back of this chemise dress is gathered to yoke. Front joins yoke in a forward shoulder seam. Button front closing is detailed with a band. 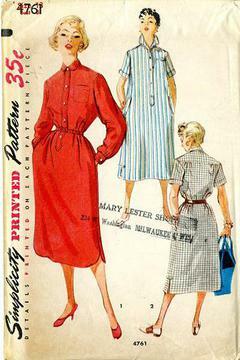 Pockets in side seams and small rounded collar are featured. V. 1 long sleeves, softly pleated and gathered at the lower edge, join a wrist band. Openings at lower edges of side seams are curved. Bodice features pocket on left front.